Post Graduate Department of Chemistry organized a one day National workshop on “Applications of Nano materials and faculty development programme”on 19 February, 2019 to highlight the basic and latest scientific advances within the broad field of nanotechnology in academia and industry. 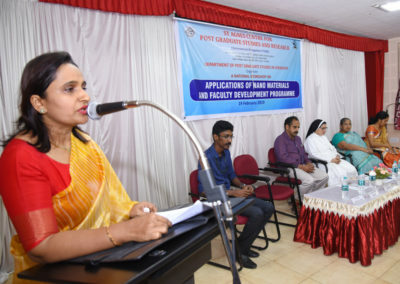 Dr Geetha Nazareth, the Head of the Department of Post Graduate studies & convener of the workshop welcomed the gathering. 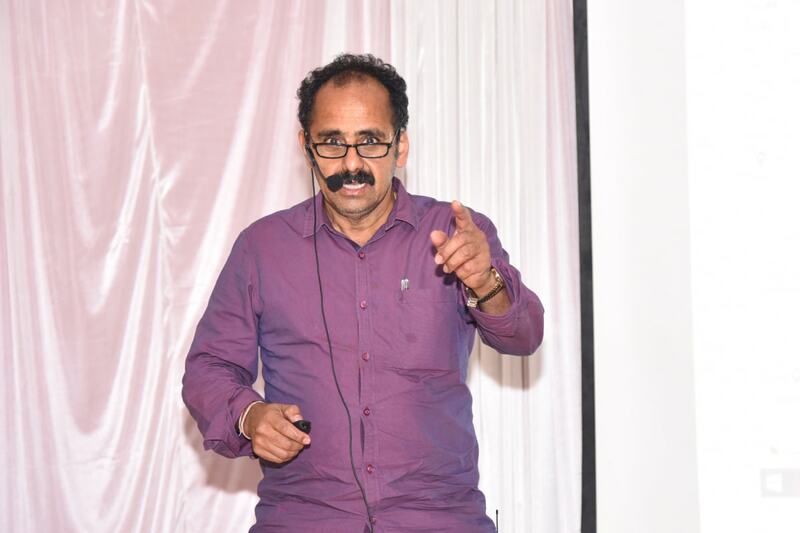 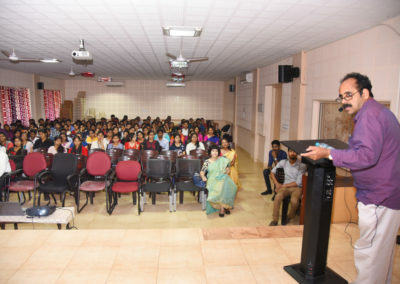 The chief guest of the programme Dr Govinda Raj Principle Research Scientist, SSSCU, IISc Bengaluru, gave the massage to the audience to take up research in their future. He emphasised the significance of an inquisitive attitude of taking up research in collaborations with reputed industries and institutes. 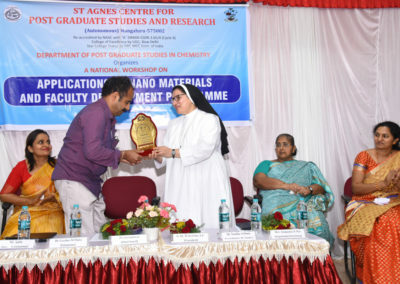 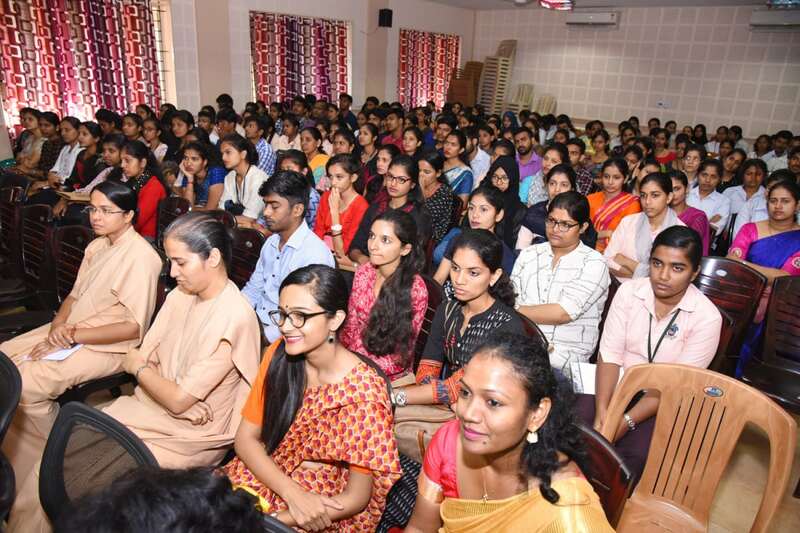 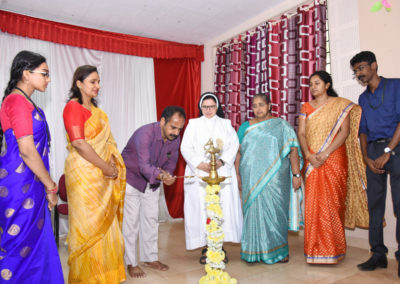 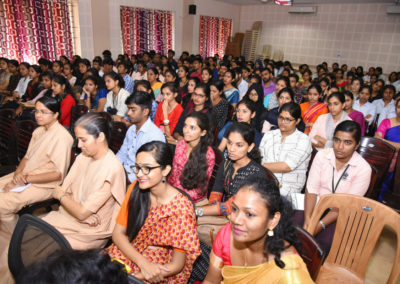 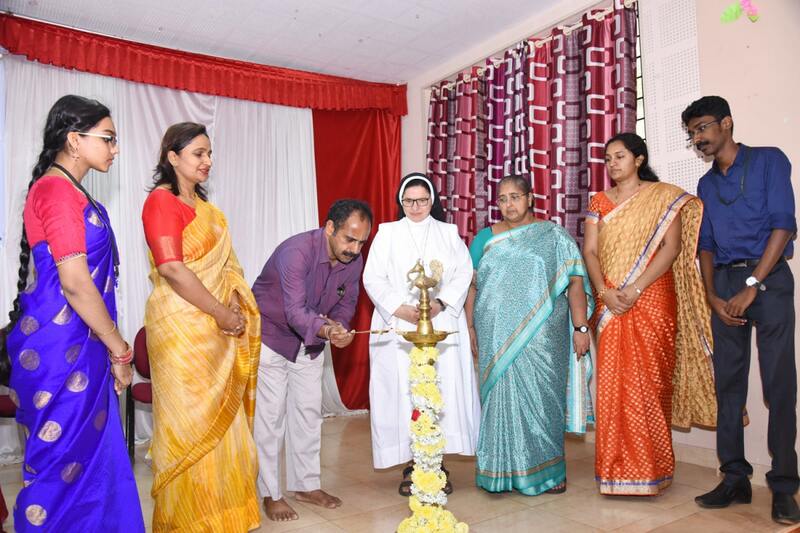 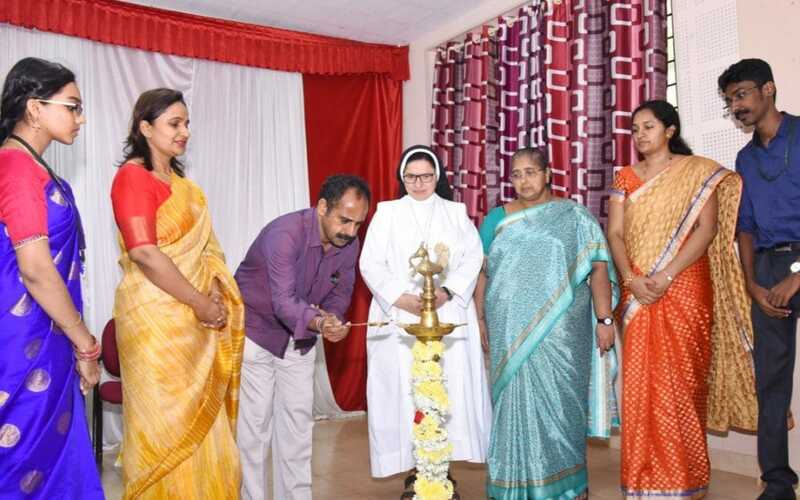 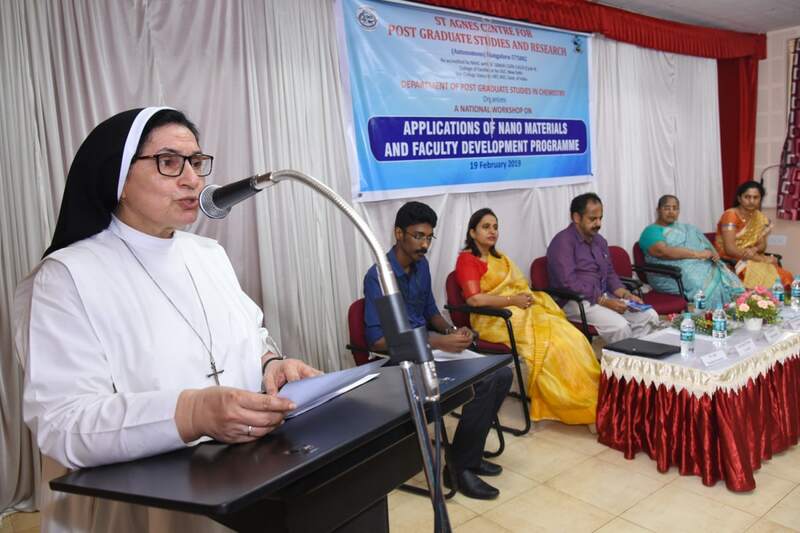 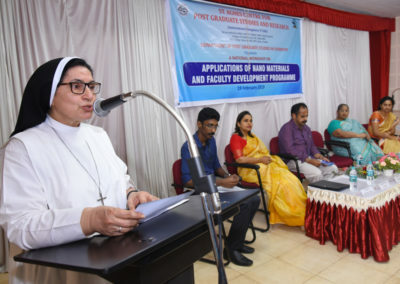 Sr Dr M Jeswina A.C., president of the function, congratulated the Post graduate department for organizing the workshop, which would help enhance the knowledge of nanotechnology in minds of young generation. 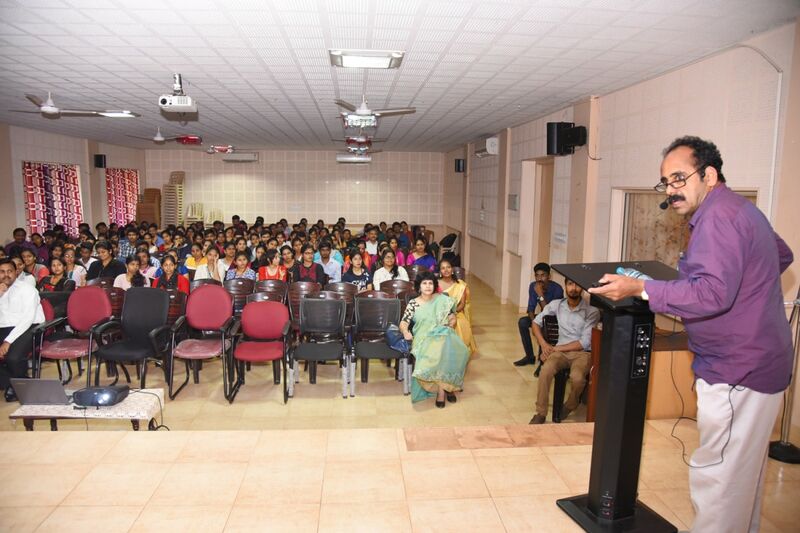 The Department had the honour of having the Resource persons, Dr Govinda Raj, from IIScBengaluru; Dr Santhosh M S, from Jyothi Institute of Technology; and Dr MuraliBanavoth, from Hyderabad University. 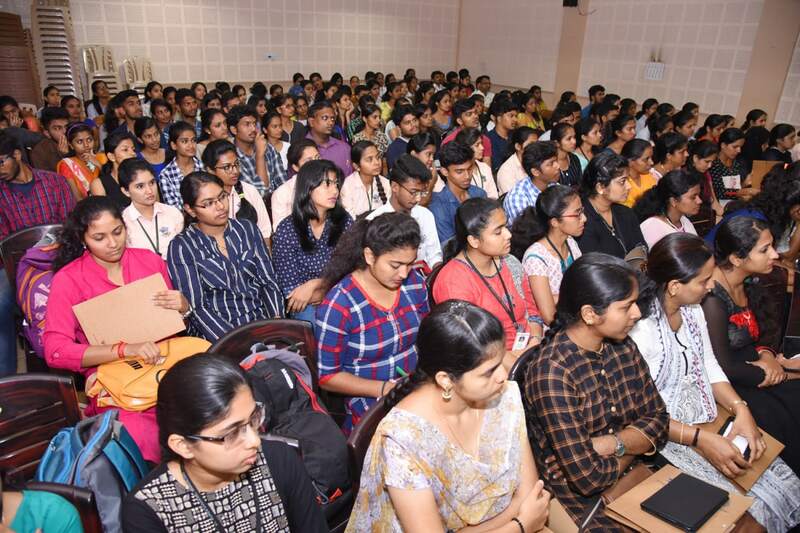 All resource persons delivered lectures during different sessions throughout the day, on topics like “The Wonder world of Nanotechnology”, “Solar Energy Materials and Solar Cells”, and “The Fascinating world of Nano carbon materials : Journey from synthesis to applications”. 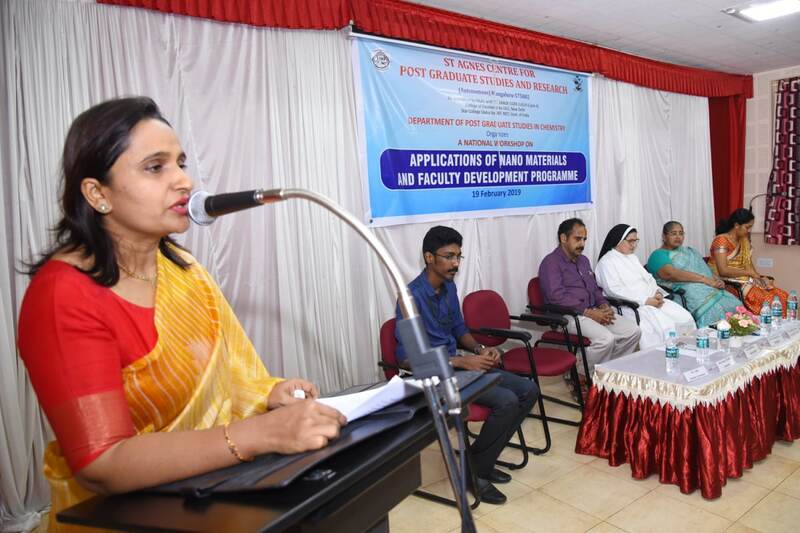 An FDP was organized by Dr Santhosh M S on the art of writing and obtaining project grants. 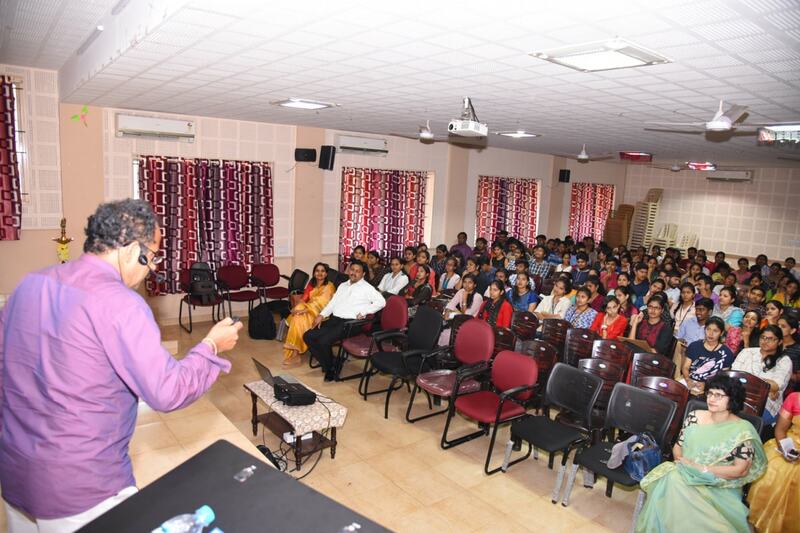 Ms Surya from II M.Sc Chemistry was the Master of Ceremony and Mr Ajith, the student convener of the workshop delivered the vote of thanks.